If Podemos members and leaders draw the right conclusions from Sunday's elections, then this defeat will only make them stronger. Podemos leader Pablo Iglesias. Paimages/Francisco Seco. All rights reserved.As Spain prepared for its second general election in six months, all eyes were set on Podemos. Polls suggested that the anti-austerity party led by Pablo Iglesias would surge past the Socialist Party (PSOE), and even come close to beating the ruling centre-right Popular Party (PP). “Victory is at our fingertips,” Podemos’ leaders repeatedly proclaimed. Exit polls confirmed the so-called sorpasso to PSOE, or overtaking, and gave a potential Podemos-PSOE pact close to an absolute majority. But as election night unfolded, high expectations met reality: an aging Spanish electorate preferred the devil it knows to a progressive gamble. PP emerged almost without a scratch from its corruption scandals, and achieved a sweeping victory with 33% support. Despite the lower turnout, Mariano Rajoy’s party received over half a million more votes than in December’s inconclusive contest. The Socialist Party came second with 22% support and 100,000 fewer votes. Its meager 85 seats pale in comparison to the 137 obtained by PP. Although it was the worst performance in PSOE’s history, preventing the sorpasso felt almost like a victory. Unidos Podemos, the alliance between Podemos and the former Communist Party, United Left, fell way short of its goal. The coalition failed to “multiply” the votes each party had obtained separately in December, and came third. Actually, it dropped 1,1 million votes along the way, more than any other party. And finally, liberal Ciudadanos lost eight seats to PP largely due to strategic voting. PP’s strategy of polarisation between “moderation” and “uncertainty” worked smoothly. An obscene record of corruption scandals and four years of Troika-imposed austerity didn’t seem to matter to 33% of Spaniards. PP’s message of “stability” and “recovery” proved invincible. To be sure, under Rajoy’s term Spain went from being on the brink of collapse to one of the fastest growing nations in the Eurozone. Unemployment dropped five points from a high of 26%. But this picture of economic success, boasted by Rajoy during the campaign, doesn’t quite tell the whole story. There is also a dark side to his growth-boosting neoliberal policies. Spain has the biggest wealth gap in Europe, and the vast majority of the new jobs created in the last years have been low-skilled and short-term, offering little security to workers. Nevertheless, while many Spaniards may have fallen for Rajoy’s rosy tale, his success cannot be understood without considering another element: fear. It wasn’t lost on Spaniards that, if anything, Rajoy has cultivated close ties with the markets. His Finance Minister, Luis de Guindos, was a former Lehman Brothers executive. Podemos, by contrast, is not the party most would call to put out this kind of fire. Indeed, in its early days, Podemos not only criticised Spain’s loss of sovereignty to Brussels, but also advocated the non-payment of “illegitimate” parts of the public debt. Although this measure has recently been thinned out to a “restructuring” of the debt, a Podemos government would most likely displease the markets, adding further instability to an already collapsing Europe. No wonder during the campaign Podemos’ rivals brought out the party’s ties with Syriza, an Achilles heel in the eyes of Spain’s “moderate” electorate. To add insult to injury, the potential association between Brexit and Catalan secession was bad news for Podemos, the only major party that has called for a referendum on independence for Catalonia. Although Podemos’ leaders have always made clear their wish for Catalans to stay, they have defended Catalonia's right to self-determination. They have rightly argued that PP’s recalcitrant centralism is a “factory” of supporters of the independence movement. The referendum measure has such overwhelming support in Catalonia that Podemos could not afford to oppose it, even at the cost handing precious votes over to Spanish nationalist parties, the self-proclaimed defenders of the Constitution. In fact, election results suggest that Podemos’ position on the referendum greatly contributed to its victory in Catalonia, but was hard to swallow in the rest of the country, which was still under the influence of Brexit. Podemos knew well that Brexit wouldn’t bode well for its interests. Friday night, at the campaign closing event in Madrid, Iglesias delivered what was probably his most patriotic speech thus far. Since its early days, Podemos has reclaimed patriotism for progressive ends, which is quite a novelty in Spanish leftist politics – the crimes Franco committed in the name of the patria are still fresh in the Left’s collective memory. Ironically, Podemos is the only major Spanish party that has identified the remedy for the European Union: more democracy and less austerity. “Germany’s Europe,” Iglesias pointed out, “no longer works, no longer seduces.” The same goes for Spain, whose unity depends on the recognition of its plurinational identity. But as the election results indicate, the fear of “España se rompe” (“Spain breaks up”) brought out far more voters than the hope of progressive, democratic change. Indeed, the message of change that Podemos represents was also a major potential source of fear. To a large degree, there was no way around it. Podemos was born to give political expression to the Indignados’ anti-establishment sentiment. To a large degree, its raison d’etre is to shake things up. Its program includes no shortage of radical measures, from the referendum in Catalonia to a public banking system, passing through a reform of the mortgage law along Indignados lines. But this fear was probably exacerbated by a decision that, in retrospect, Podemos’ strategists perhaps regret: the alliance with United Left. Probably, Podemos had no alternative: three months before the elections, it was lagging in the polls. Progressive voters objected to its refusal to give support to a PSOE-led Government, which would have broken the gridlock and avoided the election rerun. Quite presciently, these voters feared that a second round would benefit PP. Moreover, an internal crisis was tearing up Podemos. Iglesias’ way out was to personally dismiss an elected central committee member, Sergio Pascual, who had close ties with a rival faction. Iglesias’ show of force caused consternation within the party ranks. If Podemos was born to usher in a new politics, this “purge” smacked of old politics at its least elevating. Morale hit rock bottom. The merger with United Left breathed new energy into the campaign, and helped Podemos arise from the ashes. Morale got back up. But by forming an alliance with the former Communist Party, Podemos had turned itself into an easy target. In Spain, hatred of los rojos (the Reds) still runs deep. As one could have expected, the usual die-hard right-wingers compared the Podemos-United Left alliance with the left-wing Popular Front coalition that won the general election in 1936, “setting the stage” for Franco’s coup. Needless to say, Podemos’ rivals jumped on the bandwagon and stoked the fire. The alliance with the former communists posed a further problem for Podemos. Since its early days, it struggled to avoid being pigeonholed as a left-wing party. Its strategists’ recognised that the “new common sense” generated by the Indignados movement, which at one point was seen favorably by 80% of the Spanish population, superseded the classic left-right cleavage. As one of the main Indignados slogans read: “The issue is not right-wing vs left-wing, but top vs bottom.” Accordingly, Podemos appealed to “the people,” and identified “la casta,” or those at the top, as the common enemy. 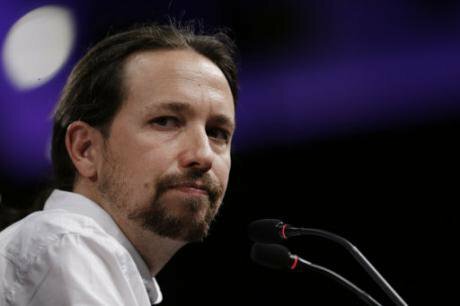 Although many Podemos’ leaders - Iglesias included - had been members of United Left, they replaced the goal of a Socialist revolution with the less contentious call for ending corruption and evictions. To make matters worse, many United Left voters stayed home, unhappy with Podemos populist strategy. If the Old Right cautioned that a Bolivarian revolution was in the making, the Old Left proved unwilling to jeopardise the goal of Socialism. In his first speech after the election reverse, Podemos’ number two, Íñigo Errejón, claimed that the political change brought about by the Indignados movement was “irreversible.” But if Podemos wants to continue being the movement’s political expression, it will probably have to clarify if it stands for Socialism, Populism, or, as Iglesias recently assured, Social Democracy. Also, Podemos will have to take up the issue of its internal organisation. Although movements and parties are certainly two different beasts, Podemos has dangerously drifted away from its roots in the Indignados. It has adopted a hierarchical structure similar to that of the parties it so fiercely criticised, that is, with power concentrated at the top and a limited role for the base. To be sure, the path from city squares to the Spanish Parliament was not meant to be easy, nor free from error. Probably, urgency to seize power did not help. It is true that the suffering of a crisis-ridden society called for immediate solutions, but building a party from scratch and hoping to take Madrid in barely two years was probably too ambitious a goal. Setbacks aside, Podemos has offered a sort of third way solution between the Indignados’ participatory model, which had revealed its limits as an instrument of change, and the institutional left model, which had proven to be out of touch with the spirit of the movement. In a time characterised by the weakening of organised labour, Podemos’ model may offer some inspiration for a radical progressive politics. Indeed, the European anti-austerity Left has been following the party’s endeavours closely, taking good note of its successes and failures. Sunday’s results were an important blow. They showed that Spain, at least in one sense, “is not different.” As all over the Old Continent, fear is taking over. But if Podemos members and leaders draw the right conclusions, this defeat will only make them stronger. They will certainly need renewed strength and enthusiasm to defeat Rajoy and his neoliberal allies, and to keep up the fight for the soul of this crumbling Europe.